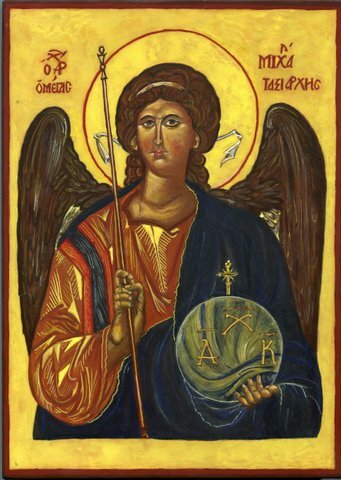 The Archangel Michael is traditionally viewed as God’s warrior. This copy is from a medieval Greek prototype and has the more rounded features typical of Greek figures. SKU: IK4. Category: Hand painted icons. Please use the enquiry form to negotiate a commission for this or any other subject.